One of Saudi Arabia’s most-anticipated art events is just a few days away and is being put together by a diverse roster of artists from the Kingdom and beyond. The sixth edition of Jeddah’s annual 21,39 initiative, which is a non-profit contemporary art initiative organized annually by the Saudi Art Council, will be open to the public on the 6th of February, and has been made possible by the efforts of 25 Saudi, Gulf, and European artists. This year’s exhibition is entitled Al’Obour (The Crossing), a multigenerational aesthetic experience held under the patronage of HRH Princess Jawaher bint Majid bin Abdulaziz that will be shown for three months at the Gold Moor Mall in Jeddah. Al’Obour comprises installations, paintings, sculptures, photography, and films by three generations of prominent artists in Saudi Arabia – such as Saudi Arabian artist Nora Almazrooa – in an attempt to build bridges of communication and open dialogue between them. 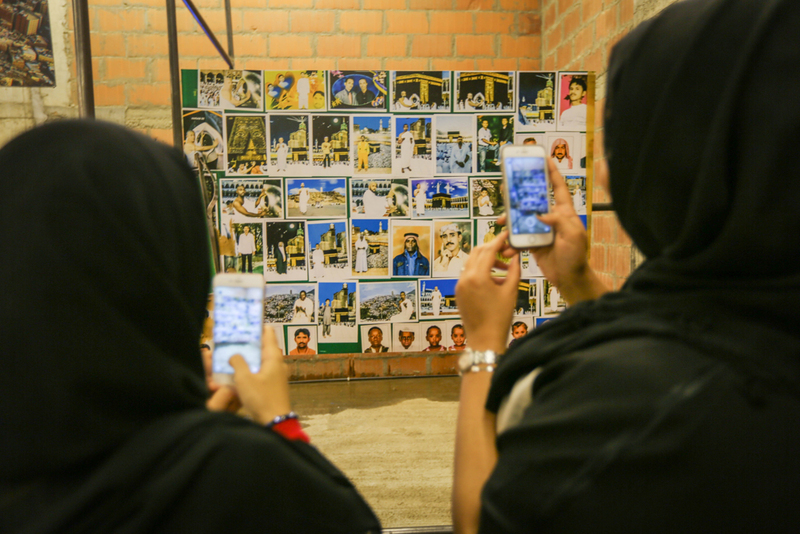 Curating the exhibition is Dr. Effat Abdullah Fadag, who is Associate Professor of Fine Arts at the University of Jeddah, as well as an artist and academic. Moath Al Ofi "The Last Tashahud"
Al’Obour is made possible by the support and sponsorship of Al-Mansouria Foundation, UBS, Van Cleef & Arpels, Midwam, Tamer Group, BWM Mohammed Yousef Naghi Motors, Quintessentially, German Consulate in Jeddah, French Consulate in Jeddah, Al-Kabli Holding, Hilton Hotel, Medd Coffee, Spark, and Blank Studio. For more information on the upcoming exhibition, check out the Instagram page of Saudi Art Council.